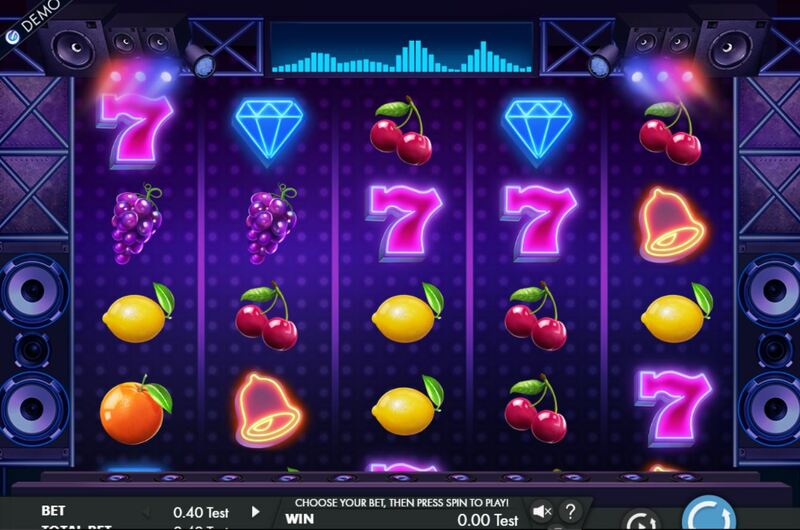 Fruity Grooves slot is Genesis Gaming 1024 way game with a huge bonus potential! 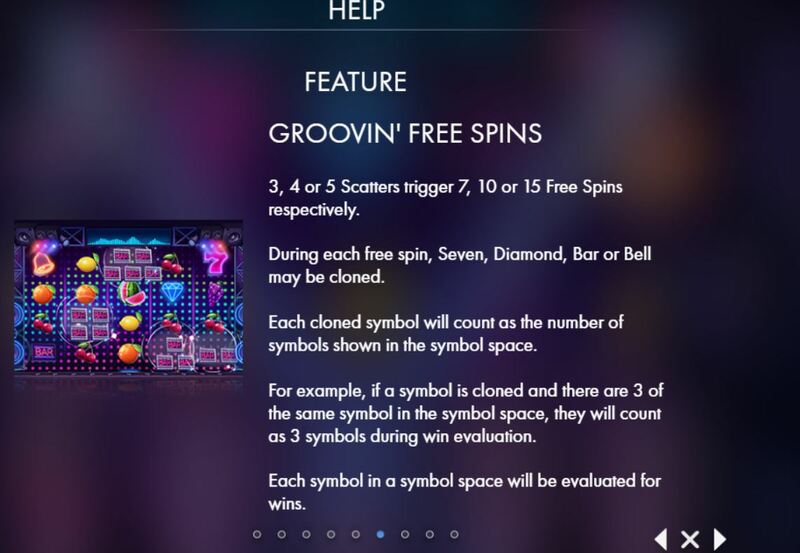 The theme is a funky disco sound with neon symbols over a dark background. 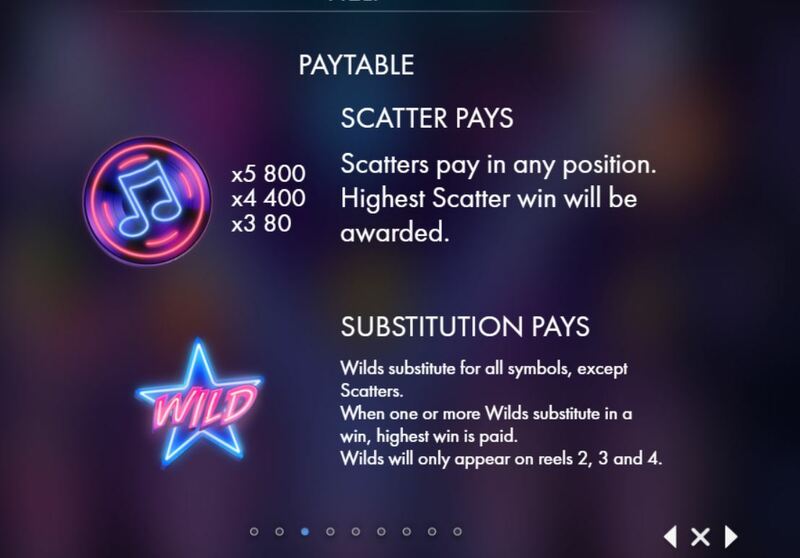 Wild stars appear on the middle 3 reels and the best symbols the bars, bells, diamonds and 7’s can pay for just 2 reels. 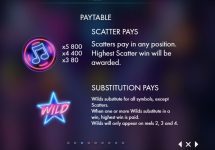 The look is similar to Ash Gaming’s Neon Life slot but has a whole lot more ‘big win potential’ in the bonus free spins, which are triggered with 3 or more Vinyl LP symbols anywhere in view. 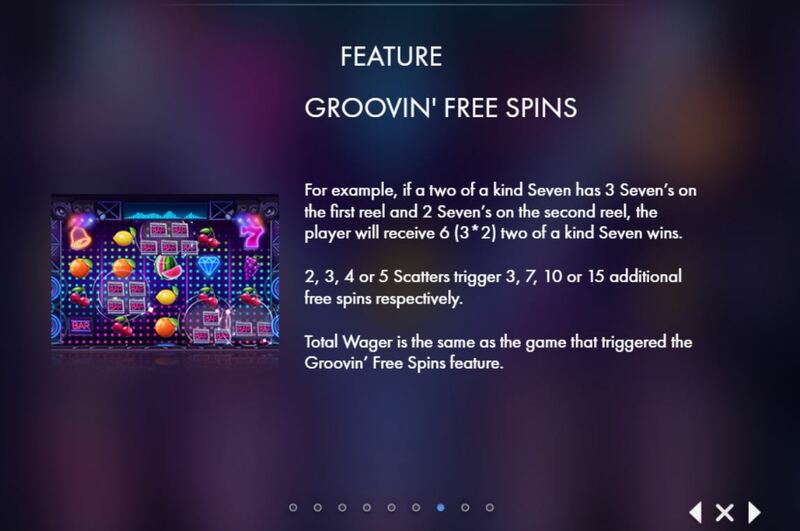 You get 7 or more spins and can get 3 extra spins for 2 scatters plus standard retriggers for 3 or more. During the free games one of the 4 top symbols of bar, diamond, bell or 7 is selected to be cloned. This means it will transform to a double, treble, quadruple or quintuple symbol. So if you landed 5-of-a-kind diamonds it may clone just one as a double, or all 5 as a quintuple or any permutation in between. Should you get all 5 cloned as quintuples, this would multiply the win 3125x!!! !RTP is also a staggering 97.55%.